Simone Biles was born on March 4, 1997 in Columbus, Ohio. When she was born, both her parents suffered from severe drug and alcohol issues which meant they were not fit to take care of young Simone and her sister and she was later adopted by her Grandparents, which meant she moved to Texas (Fincher). 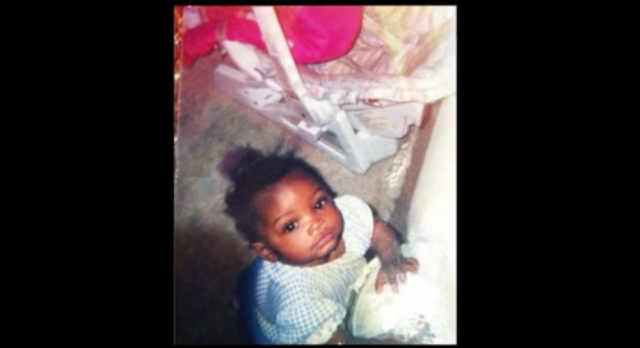 The photo attached is from when Simone was a baby (Simone Biles-Baby Picture). Simone started gymnastics while she was 6 years old- a late start to the game (The Ellen Show). After going to the local gymnastic gym on a field trip through her day care, Simone soon realized the gymnastics gym was home (Fincher). 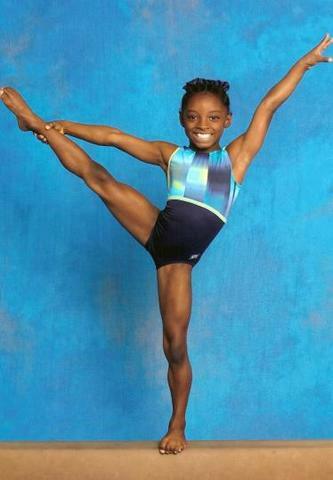 The picture featured is of Simone when she was a new gymnast (Olympian in the Making: Simone Biles' Childhood Photos). Simone was first noticed by the USA gymnastics team while she was competing in the American Classic in 2011, when she was 14 years old. Martha Karolyi, the coordinator for the USA women's gymnastics team noticed Simone for her raw talent and bounciness. After this meet, Karolyi invited Simone to practice with the team during their monthly practices which was only an hour drive from her home (Hardy). 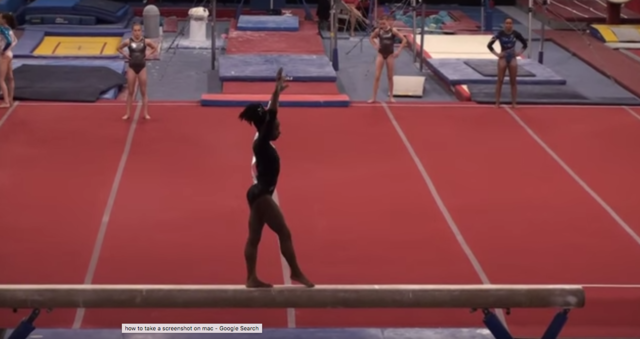 The featured picture is Simone on the beam (Simone Biles - Beam - American Classic July 2011). During the 2013 U.S Secret Classic in Chicago, Simone was mentally struggling to focus during the competition. She fell competing on the uneven bars, hurt her ankle, and stumbled while on beam. Because Simone was shaky mentally, she decided not to compete on vault in case of injury (Hardy). The image featured is of Simone competing on the balance beam at the 2013 U.S Secret Classic (Sipsey). In August, Simone began to battle for the gold at the 2016 Olympic games. This was no shocker that Simone would qualify to be a part of Team USA. While Simone competed in Rio, she earned some impressive titles: "all-around, vault and floor exercise champion, and balance beam bronze medalist" (Career Highlights). 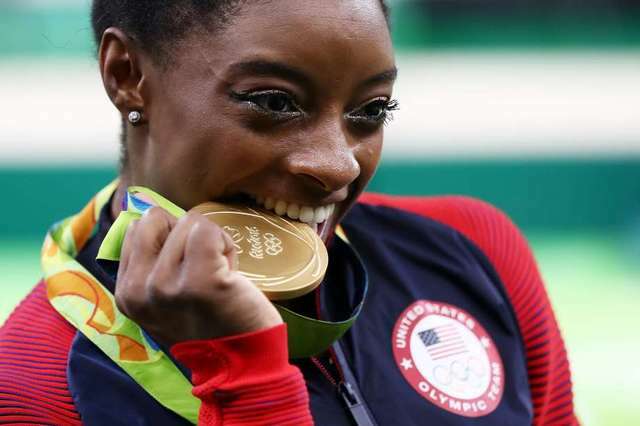 Simone is featured in an image after she won the gold medal for all-around- the highest achievement in gymnastics (Houston’s Simone Biles Wins All-Around Olympic Gold).